NEW YORK, NY (18 October, 2016) Football fans all over the world can enjoy a unique insight into the birth of a football Club as WIN! – the all-access documentary chronicling the founding of New York City FC and its first season in Major League Soccer (MLS) – is released globally. 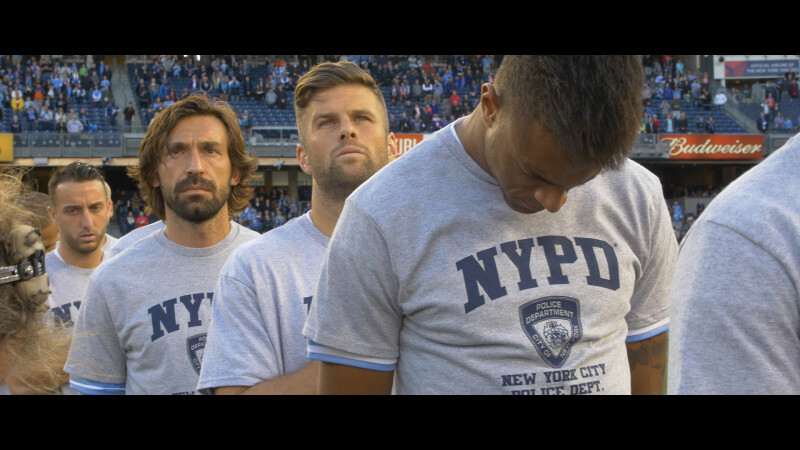 The film, which shows global superstars like David Villa, Frank Lampard and Andrea Pirlo settle into their new Club, can be accessed across all major digital On Demand platforms including iTunes, Amazon Video, Google Play, PlayStation and Xbox, as well as via US cable providers including Time Warner and Comcast, among others. Directed by independent filmmaker Justin Webster, WIN! made its world premiere at the 2016 Tribeca Film Festival before distributor FilmBuff (which also handled the releases of Exit Through the Gift Shop and Senna, among others) acquired the licensed distribution rights in September 2016. The film, for which Webster and his crew enjoyed unfettered access from the boardroom to the locker room, is a fascinating inside look at the challenges of starting a professional sports franchise from scratch. It is the story of the inaugural 2015 season of New York City FC. Part of City Football Group, New York City FC is a joint venture between the English Premier League’s Manchester City and Major League Baseball’s New York Yankees. The team establishes the world famous Yankee Stadium as its first home and builds a squad that includes the most decorated, international trio in MLS history – David Villa from Spain, Frank Lampard from England, and Andrea Pirlo from Italy – who collectively have won two World Cups, two European Cups, four Champions League trophies and 32 domestic trophies. Even with such talent, competing against established MLS Clubs, learning to operate within MLS, and winning over the hearts of New Yorkers will be an uphill battle. Tracking New York City FC from the day of its announcement through to the construction of its squad and the course of its first season, Webster follows the stories not just of the team’s players, but the coaching staff and executives tasked with building the Club, including Sporting Director and former US National Team captain, Claudio Reyna and the Club’s first-ever head coach, Jason Kreis. Copyright credits to City Football Group. I have been incredibly proud to be part of this Club and to have watched us grow and develop into what we have become, in our second season in Major League Soccer. We hope this will give our fans and anyone with an interest in our great game an insight into the unique challenges of building a club.